The village is situated in the Bocianska Valley, between the Ďumbierske and Kráľovohoľské Tatras. The history of the village started in the 13-th century, when people from the settlement Hybe started to mine gold here. The eastern part of the village was a part of the Liptovský Hrádok county, and from the 16-th century of the Banská Bystrica county. On the other hand, the western part was owned by the Liptovský Ján county and from the 13-th century by the Svätojánsky family. At that time arose the village Boca. In the 15-th century it faded, but in the 16-th century two Bocas were founded: the Kráľovská Boca (Royal Boca) and Svätojánska Boca that were both named according to their owners. After the resources were exhausted and local mines closed, people were forced to find new jobs as farmers and weavers. In both Bocas, the Nižná Boca as well as in the Vyšná Boca, you still can find large wooden houses of miners. The late-classicistic Roman-Catholic church from the year 1844 has the original baptistery, patronal benches and candlesticks. Since the middle of the 20-th century the village has changed into a tourist centre. 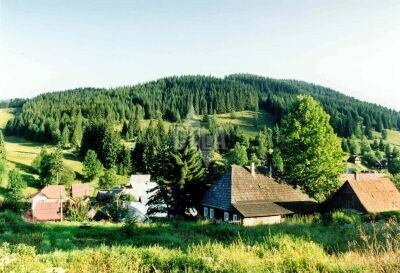 Beautiful nature, meadows and forests attract more and more visitors and thus Nižná Boca also became known as a winter ski centre. It is situated in the protected area of the Low Tatras National Park (NAPANT).